Make a “Diet of Worms Cake” and bring it to your office or school. John MacArthur has finally embraced his rap alter ego “Dr. Miggidy Mac”. Listen here. My son is all the rage over at Girl Talk blog. I’m not sure if I should be proud or not. “Until I come, give attention to the public reading of Scripture, to exhortation and teaching” (1 Tim. 4:13). Why is it that churches that seem to despise the Bible most are also the ones who read it the most in their liturgies and services? On the other hand, why are churches which get blue in the face over the authority of Scripture the ones who rarely read from extensive portions of it? To the first group I ask, “Why bother?” and to the second group I ask, “Why the hypocrisy?” Johnson and Duncan have rightly noted, “One of the striking things about evangelical corporate worship in our times is the evident paucity of Scripture” (Give Praise to God, 140). How many times have we seen the preacher say “open your Bibles to…” only to watch him run away from the text as fast as he can? Thankfully there has been a growing awareness against this putrid trend of Scripture-less services but many go on in the name of Christ every Sunday without a Word from Christ. One gets the feeling that if Ezra and his crew were to lead services today they would not be asked to come back the following week (cf. Neh. 8:3). If possible, would Jesus even be allotted a spot in today’s typical service so that He could read from the scroll of Isaiah and proclaim its fulfillment (cf. Luke 4:17)? I constantly hear pastors bemoan the fact that their average church member is illiterate when it comes to the Scriptures. However when I ask a simple question, “do you give a dedicated place for the Scripture to be read in your worship service?” you would think I had asked them to give a detailed analysis of the hypostatic union of Christ. Brothers, read the Scripture to and for your people so that they might hear God’s voice and be changed. The means of evangelism and the continued sanctification of God’s people is the reading and proclamation of His Word. The Church has the distinct privilege to be the pillar and support of what God says and ministers have the unique opportunity to insure that a steady diet of Truth is administered into the ears of the congregation. The only time some will hear the Psalms read (or sung) will be on Sunday mornings. The only time some will ever dive into the dark continent of the “older testament” will be when they hear it read or preached by a Christian minister. The only time many will hear The Gospel (outside of a tract) will be when it is read from one of the four Evangelists. “This Word of God is the means by which God accomplishes his saving work in his people, and this is a work that no evangelist and no preacher can do. This is why the dearth of serious, sustained biblical preaching in the Church today is a serious matter. When the Church loses the Word of God it loses the very means by which God does his work. In its absence, therefore, a script is being written, however unwittingly, for the Church’s undoing, not in one cataclysmic moment, but in a slow, inexorable slide made up of piece by tiny piece of daily dereliction.” (David Wells, Above All Earthly Pow’rs , 9). I just have to share this. In the deep resources and bowels of this blog, it is possible for us to see the actual search terms that folks use to arrive here at Expository Thoughts. So for example almost every Saturday night our blog gets an enormous amount of hits from desperate preachers looking for sermon material. Google searches like “sermon on love” and “sermon on finances” somehow ditch people at our blog. 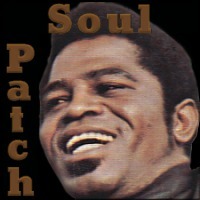 However the best one yet happened today when someone did a Google search for “what does soul patch mean?” I have no idea why they were brought here but it is certainly an indication to me that expository preaching is more hip than I thought. Peace out yo! Those who regularly preach should have a reading program that fits their schedule and exposes them to an array of serious exegetical discussion, theological thought, and practical pastoral wisdom (just to name a few areas). However, an expositor should also seek out a regular “sermon-listening” schedule as well. I can count on one hand the times I have been present in my church while someone else was preaching. Therefore I’m trying to incorporate a weekly pattern of listening to other men’s sermons so as to learn and have an extra “feeding” outside of my regular study. The benefits of this are enormous and should only serve to deepen our wells. The internet makes the possibilities endless and you can essentially listen to anyone from Lloyd-Jones to MacArthur or even the lesser-known pastors who are toiling faithfully under the radar of popularity. This week I’m listening to some of the Mullins lectures that have been delivered at SBTS over the last few years (listen here). John MacArthur is actually there again this week delivering this year’s series. I would be interested to hear what some of your habits are in this regard and what you have found to be profitable. Our church’s adult Sunday School class has begun a series through Francis Schaeffer’s video and book How Should We Then Live? For those in the class and others who may be interested, Reformation21 has posted a series of articles on Schaeffer that provide an excellent introduction to his life and thought. “This Word of God is the means by which God accomplishes his saving work in his people, and this is a work that no evangelist and no preacher can do. This is why the dearth of serious, sustained biblical preaching in the Church today is a serious matter. When the Church loses the Word of God it loses the very means by which God does his work. In its absence, therefore, a script is being written, however unwittingly, for the Church’s undoing, not in one cataclysmic moment, but in a slow, inexorable slide made up of piece by tiny piece of daily dereliction.” David Wells, Above All Earthly Pow’rs (2005), p. 9.